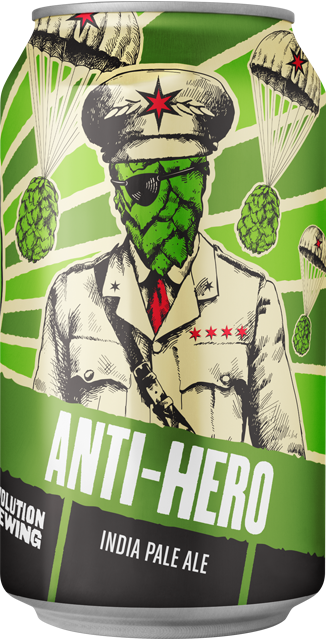 When the enemy is gaining strength and a single Hero can't fight the battle alone, Anti-Hero assembles the League of Heroes. 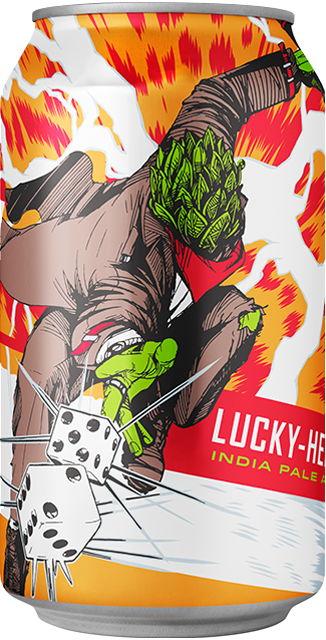 Each "Issue" of the variety 12-pack contains 4 unique IPAs, 3 cans of each, with at least one new Hero making his or her first appearance. 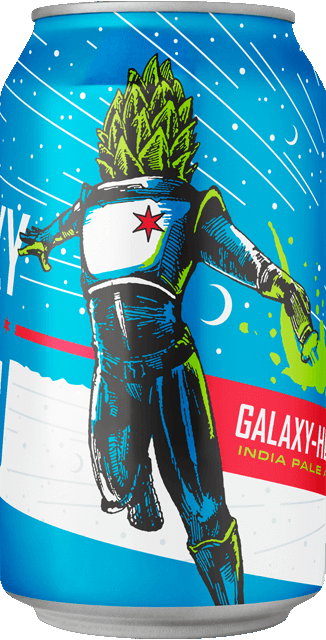 Bring the hop battle to your fridge by comparing and contrasting innovative hop profiles, canned within days of each other. New issues will be released approximately 3 times per year. Each member of the League of Heroes is canned within days of each other, with the born-on-date of the oldest can stamped on the box. 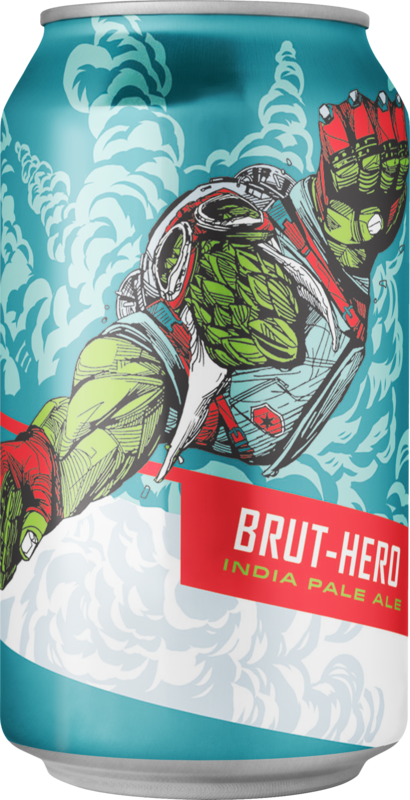 The team at Revolution Brewing packages the Leagues of Heroes multiple times per month to ensure maximum freshness. Issue 6 of League of Heroes features the first appearance of Lucky-Hero, along with Brut-Hero, Galaxy-Hero, and Anti-Hero.